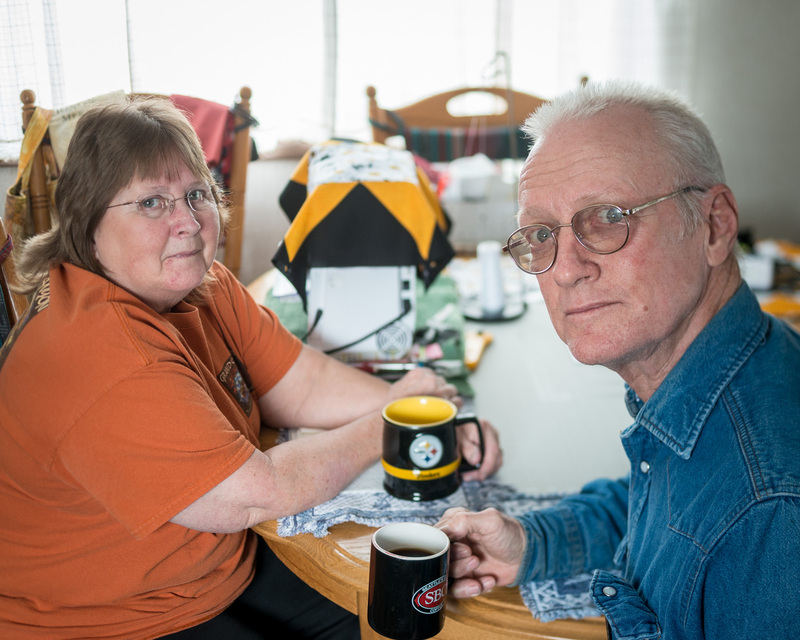 Mary Ann and Bob Whitehead are both retired from the Colstrip power plan. They live in the mobile home they’ve had since 1980, where Mary Ann has converted the dining room into a quilting studio for her new hobby. They tout Colstrip’s many parks and the local golf course, recreation center and gun club which cost residents little or nothing to use. All thanks to financial support from the mine and power plant.